Certified Independent Hybrid Repair Phoenix – Rated Best Service! You made an environmentally conscious decision to purchase a hybrid vehicle, which will cut down automotive emissions and also save you money in fuel costs. But did you know that you can also make an environmentally responsible decision in your hybrid auto repair and maintenance choices? That’s right! 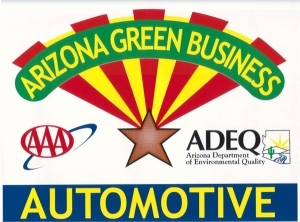 AZ Hybrid Repair Phoenix*, a division of ToyoMotors, is a Certified Arizona Green Business. ADEQ has partnered with the Automotive Service Association, ASA of Arizona, and the City of Phoenix to certify auto repair shops under the Arizona Green Business Program. AZ Hybrid Repair Phoenix is a recognized green automotive repair shop and we set high standards for pollution controls and resource conservation. Hybrid auto repair requires extensive training and expertise for proper maintenance and repair. Most auto repair shops do not have the technicians and expertise to properly and safely perform hybrid repairs and services. However, AZ Hybrid repair Phoenix technicians have been trained and have decades of experience to provide hybrid auto repair services. Whether you own the Toyota, Honda, Lexus or even a domestic hybrid vehicle, we can provide you with superior maintenance services at a fraction of the dealership cost. We will keep your hybrid running smoothly and efficiently for many years to come. Free Hybrid system basic analysis. Hybrid Battery Cooling Fan Service. Master technicians with factory training. Fully computerized shop with exclusive hybrid service equipment. Ongoing training aftermarket and online support. We use superior parts, original or better quality. Our warranty is better than the dealer in many cases. Is your hybrid still under warranty? No problem! AZ Hybrid Repair Phoenix will not only keep you compliant with your hybrid manufacturer’s warranty, but we can also assist you to get even more out of your factory warranty. For more information see Our Guarantee. Whether your hybrid needs a simple oil and filter change, a Hybrid battery service, or a major system repair, AZ Hybrid Repair Phoenix is up to the task. We are committed to keeping your hybrid in top condition while preserving our environment. Please see our special offer for new customers. Call Today 602-569-TOYO (8696) or make an appointment online. AZ Hybrid Repair Phoenix provides expert level hybrid repair and service in Phoenix, Scottsdale, Anthem, Paradise Valley, Peoria and other surrounding areas. 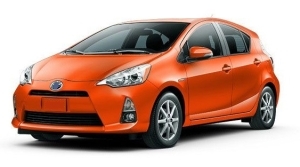 *AZ Hybrid Repair Phoenix is a specialized division of ToyoMotors Auto Repair.